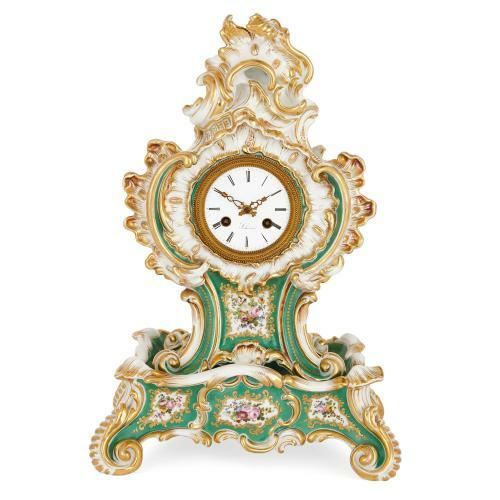 Scrolls, shells, flowers and more adorn this delightful porcelain mantel clock, masterfully crafted by the acclaimed French ceramicist Jacob Petit. 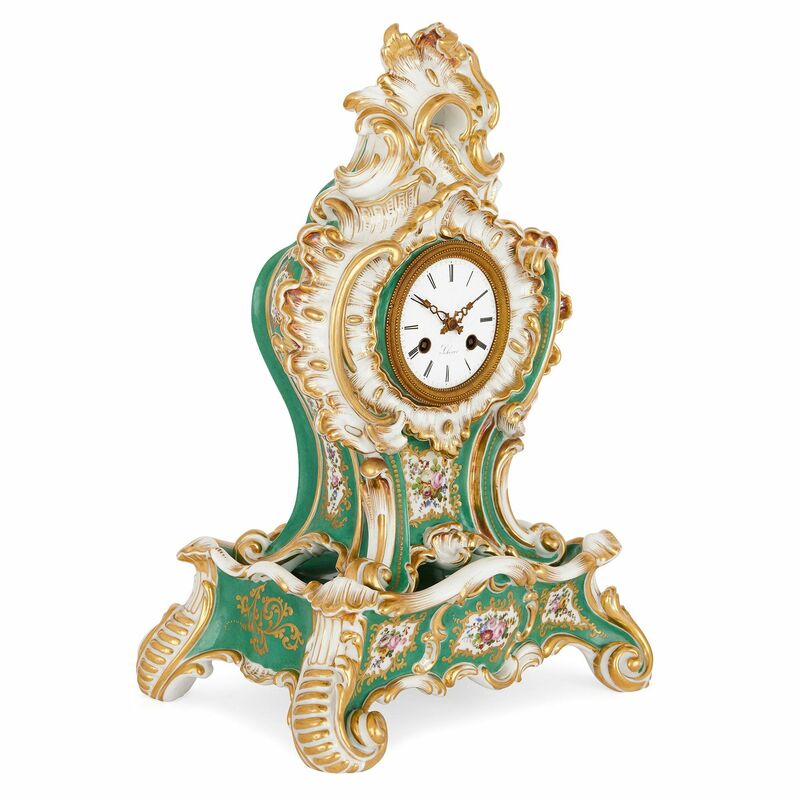 19th Century porcelain artist Jacob Petit was inspired by the exuberant forms and flamboyant designs of the 18th Century Rococo period, and this clock exemplifies the beauty of the pieces he created under the influence of this style. The shape of the clock case - scrolling and subtly asymmetrical - is particularly impressive, and would have required an exceptional craftsman such as Petit to create it. 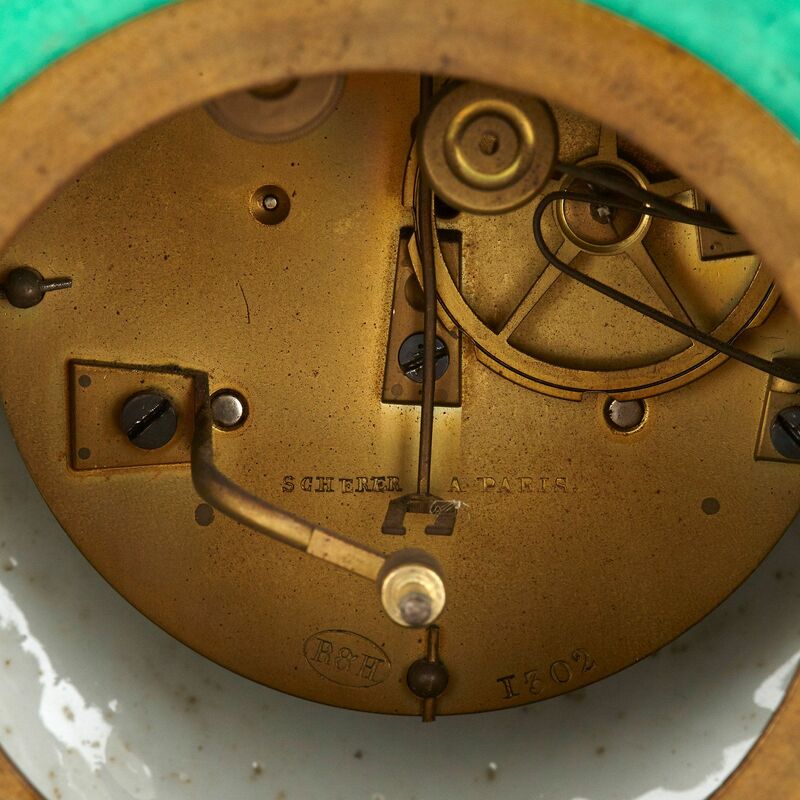 It is formed as a combination of scrolls and shell forms, and it rests on a roughly square, scrolling base. 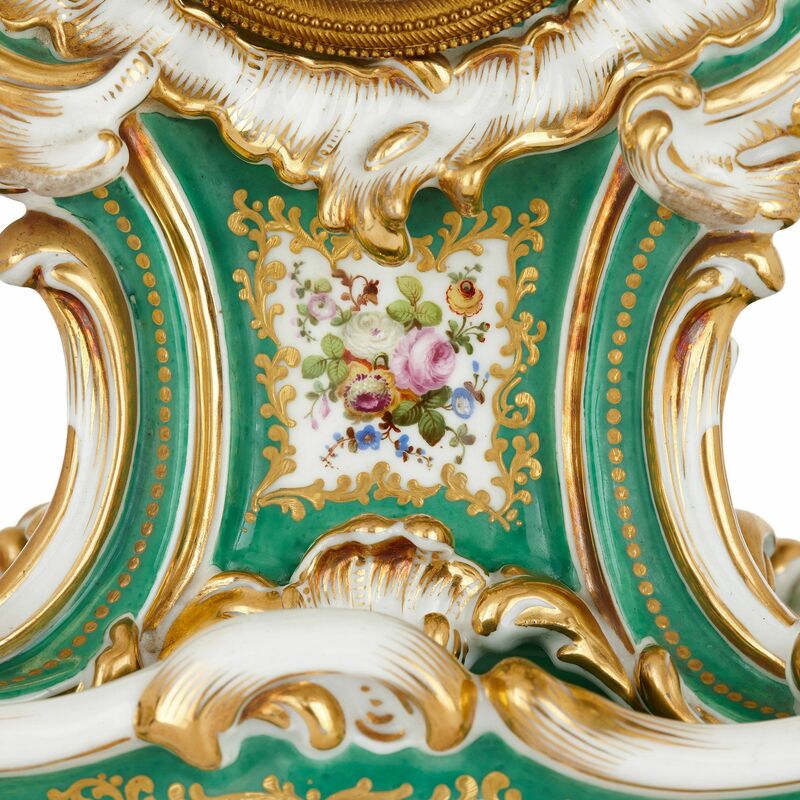 The porcelain is parcel-gilt and features wonderfully detailed floral bouquet plaques on green ground. 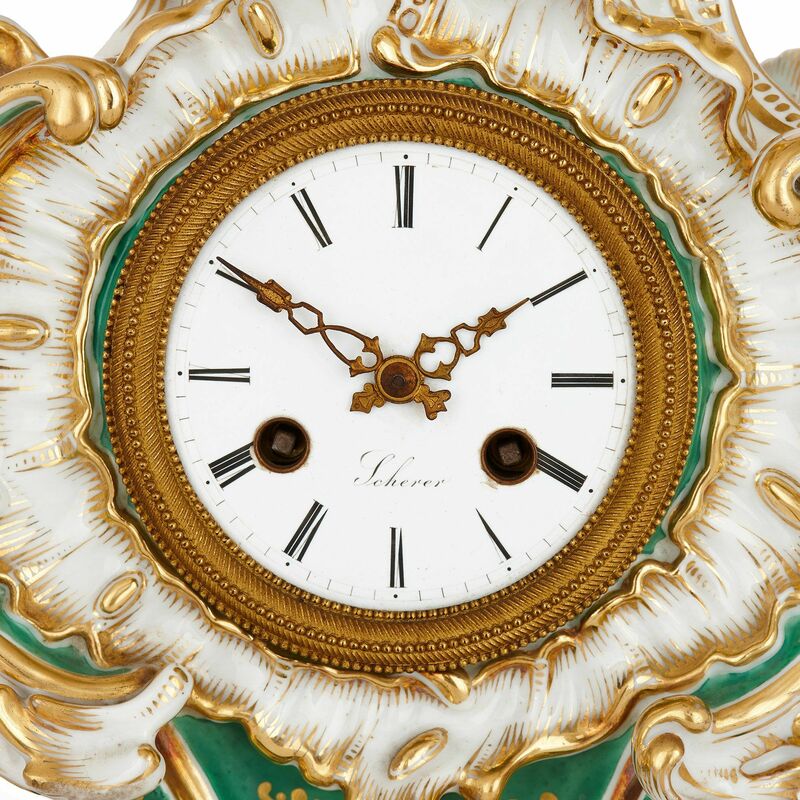 The top of the case is beautifully formed as a combination of wave, rock and shell motifs, the so-called rocaille motifs which give Rococo its name. 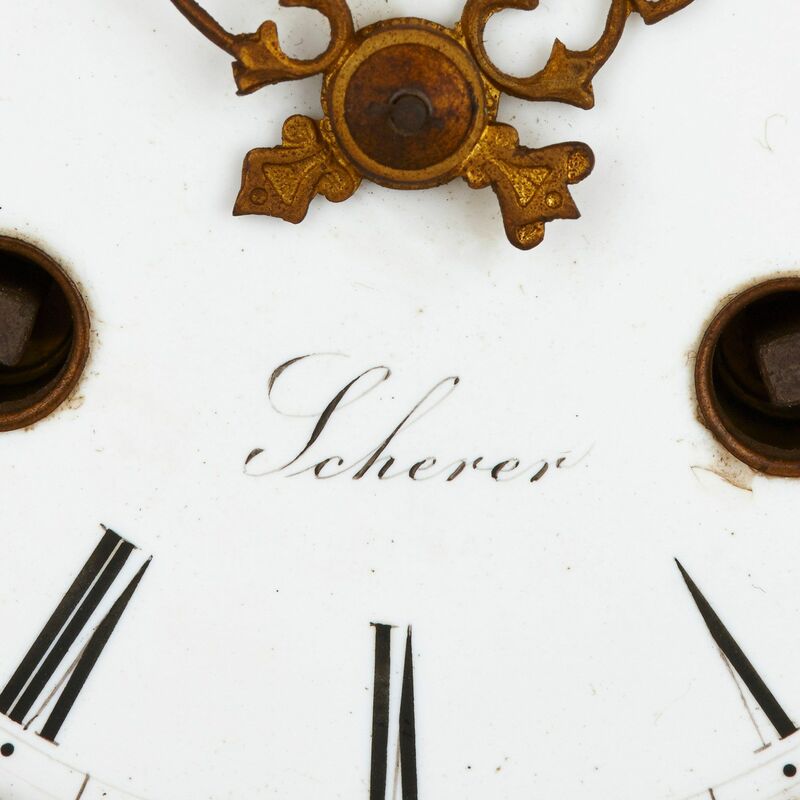 The central circular enamel dial is set into the centre of the clock case, and is inscribed 'Scherer', the name of a small clockmaking firm in Paris operating in the later part of the 19th Century. 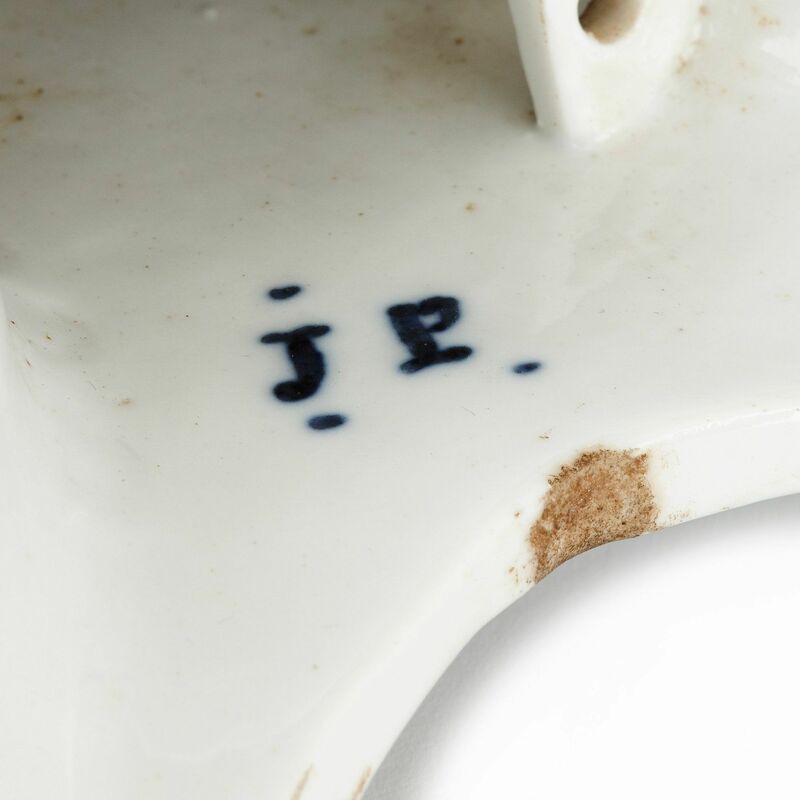 There are blue marks for 'JP' (Jacob Petit) on the underside of the base and on the inner case of the clock.